I write a great deal about what is wrong with health care and how we can fix it. I’ve probably made some enemies – and hopefully a few friends – with what I believe is an honest, non-political, evaluation of why the largest segment of the US economy is spiraling out of control. I recently realized that I’ve never written about Pharmacy Benefits Managers. Well, I’m going to fix that now. These are my thoughts on PBMs and the role they play in our current health care crisis. First of all, most people don’t know much about PBMs. They’ve successfully become that shadowy figure that stays out of the spot light and quietly takes billions of dollars out of the health care industry. Lets begin by defining what a PBM is and what its not. A pharmacy benefit manager (PBM) is a third –party administrator (TPA) of prescription drug programs for commercial health plans, self-insured employer plans, Medicare Part D plans, the Federal Employees Health Benefit Program and state government plans. 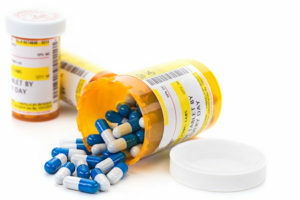 It’s important to note that PBMs do not manufacture, nor are they a wholesaler or distributer of, prescription drugs. What they are is a middleman in the process who “administers prescription drug programs”. At this point you may be asking yourself, “What in the world does it mean to administer a prescription drug program?” Fair question. So the drug company, feeling they don’t have a choice, agrees to the discount and rebate. To maintain their profits they increase the cost of the drug by 10%. The PBM now goes to the retail pharmacy market with their HappyCare contract and the agreement for price reductions and rebates from the drug manufacturer in hand. They now negotiate with the retail pharmacy to include them in their network of approved pharmacies. This negotiation is similar to the one with the manufacturer; “It would be a shame if all of these patients couldn’t get their prescriptions filled at your fine establishment.” Again, the PBM makes some profit from this relationship. The bottom line is the PBM has now successfully injected itself into the manufacturer, wholesaler, and retail distribution chain in such a way that it is guaranteed profits. Significant profits. The next logical question is do they add value or are they just a parasite sucking off profits from the prescription drug market? The answer is a little of both. The PBMs claim they provide value by passing along savings to the payers. That is true. They do pass along some of the negotiated savings to payers. They have been unwilling to be transparent and disclose exactly how much of the discounts and rebates they pass on, but it is true to say that they pass on at least some of those savings. They also claim they provide value by making sure the patient receives the “most cost effective” medication and that they help avoid drug interactions and duplicate prescriptions. Again to be fair, I believe they do provide some value in this area. To me, the real question is does the value they provide offset the cost they add to the system? Frankly, I’m not convinced they do. Before you go and get your torches and pitchforks lets take a deep breath and understand what these companies are doing and why. They are doing exactly what they should be doing and what every other company should do – including the drug companies and the insurance companies. They are working to maximize their shareholders’ investment by maximizing their profits and the returns they provide to their investors and owners. This is no different than what companies like Apple, Disney, and every other for-profit company does. The only difference is we’re talking about health care now, and if we don’t fix the runaway train of rising health care costs we’re all in trouble. In the words of the philosopher Ice-T “Don’t hate the player, hate the game”. Everyone in this scenario is simply playing the game to the best of their abilities. If we want to fix this situation we need to fix the game. Lets say that HappyCare insurance company decides to bypass the PBM all together. Instead they put their faith in market dynamics. HappyCare decides to fix the game by designing a benefit plan that has tiered co-pays based on the cost of the drug within its class. So for example antibiotics would cost the patient $10/$20/$30 per prescription based on the cost of the drug. HappyCare explains this to the manufacturers and allows them to set their price. The manufacturers price will determine the co-pay the patient will pay. In this new game the manufacturer has to decide if they want to reduce the price of their drug, get into a lower co-pay tier, and thereby drive more market share. Doctors who want to help their patients will quickly learn which drugs have the lower co-pay, and if that drug is effective for their patient, they will prescribe it more frequently. Suddenly you have market forces at work to make sure drug prices are competitive and all without the unnecessary profits and costs of the PBM. Such a practice also keeps control over what drugs are prescribed in the hands of doctors and their patients. Now, if someone could just condense all seven seasons of Game of Thrones into one two-hour movie I would be a happy camper.